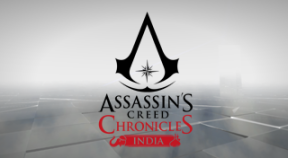 Complete Assassin's Creed® Chronicles: India. Pickpocket or Loot 100 enemies without being seen. Use the Smoke to pass by 100 enemies. Have 100 enemies pass by you whilst using Helix Blend. Dispose of 100 enemies using Helix Blade. Achieve Assassin Gold Style rating 30 times. Achieve Silencer Gold Style rating 30 times. In Memory Sequence 3, rescue Hamid in under 5 minutes. Complete Memory Sequence 4 in under 9 minutes. Complete Memory Sequence 9 in under 7 minutes.